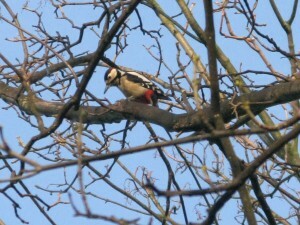 The male Great Spooted Woodpecker has been feeding in the wood again this Winter. This time we got some nice photos. You can tell he’s male by the red patch on the back of his head.